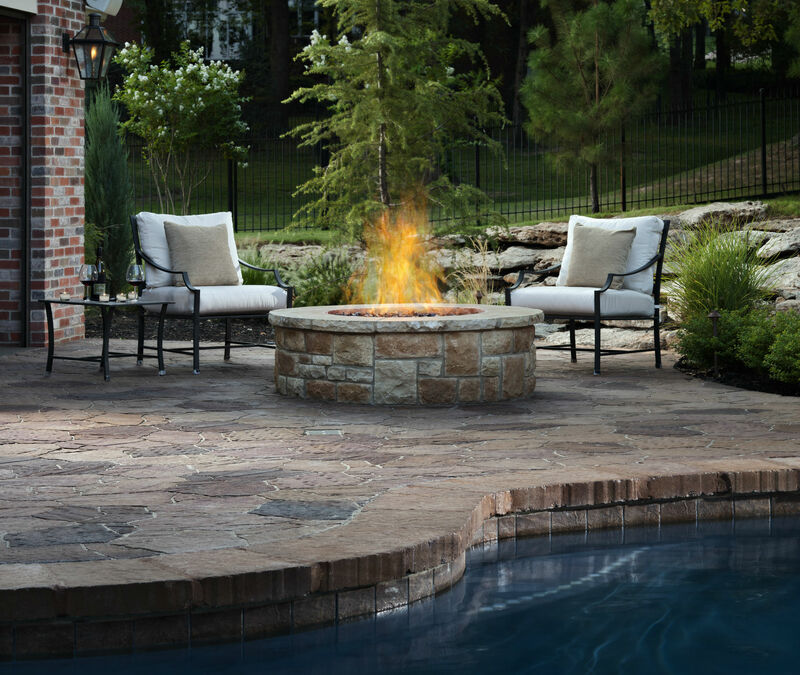 A fire pit or outdoor fireplace can completely change the feel of your patio and make your outdoor living areas far more welcoming and intimate. Fire features keep your guests warm in winter, are perfect for roasting hot dogs with the kids, and provide just the right amount of light for entertaining friends after dark. They are one of the most asked for features when designing or remodeling patio areas and can even increase the value of your home. 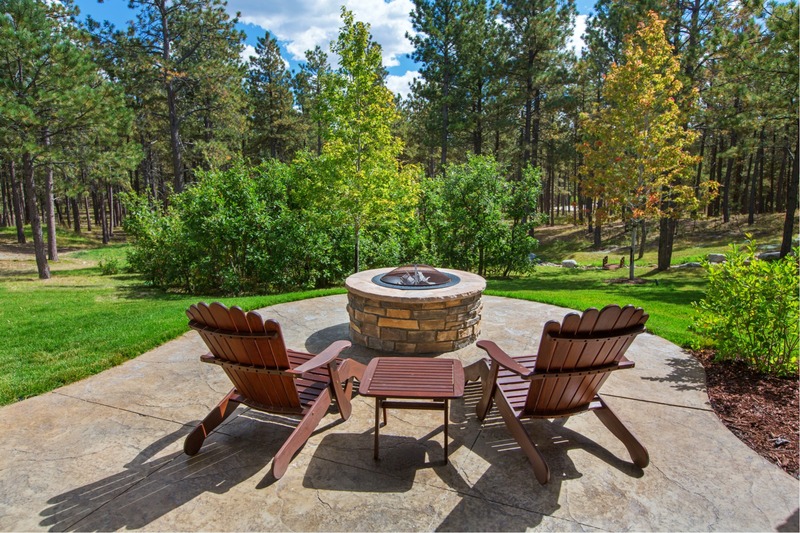 Of course, once you have installed your fire feature, you will need the right fire pit or outdoor fireplace accessories to make cleanup easier, keep your fire safely contained, and make using your fire feature more enjoyable. To help you make sure you have everything you need to fully enjoy your investment, here are 13 fire pit and outdoor fireplace accessories you might need for your patio. Log grates enhance air circulation for better fires and make cleaning your outdoor fireplace easier. Grates also help you control log placement and movement, which reduces the risk of burning logs rolling out of your fireplace and causing injury or property damage. Fireplace tools, which often include pieces like tongs and pokers, make managing your fire easier. These tools can be used to move logs and stoke fires in either an outdoor fireplace or a fire pit, so one set of tools should be enough even if you have both of these features in your outdoor living areas. A fireplace tool set should be one of the first outdoor fireplace accessories you purchase – after a safety screen. The Federal Emergency Management Agency (FEMA) recommends storing firewood at least 30 feet from structures. If you abide by this recommendation, your firewood stack is probably at least a short walk from your outdoor living areas. While a log carrier is not absolutely necessary, it is a handy outdoor fireplace accessory that allows you to more easily carry wood from your firewood storage area to your fire features. Safety screens are a must-have patio fireplace and fire pit accessory and can significantly reduce the risk or wayward embers starting a fire outside of the pit or firebox. While some might consider this an optional accessory, a safety screen really is an essential component in safely using your fire features. Safety screens designed for fire pits are also often called fire pit covers, but, for this purpose, we are differentiating between the safety screens that can help control embers and fire pit covers. Solid fire pit covers are available that allow you to place them on the fire pit (like a lid), which can keep your outdoor living area looking tidy. These solid covers can also help keep rain out of metal fire bowls and to keep the wind from blowing ashes around before you have had a chance to clean your fire pit. Cleaning your fireplace or fire pit is much easier when you have a metal ash can and scoop for collecting and transporting ashes. Ash buckets are inexpensive, small enough to easily store in a garden shed or your garage, and help keep your fire pit or firebox clean. That makes this one outdoor fireplace accessory that might not be a must have but is definitely worth buying. Cooking grills can be used in some outdoor fireplaces, but these are primarily designed for use with fire pits. The best option is to purchase a grill specifically made for your fire pit; however, if you have a custom fire pit, this may not be an option. In this case, it is important that you find a grill that fits over your fire pit securely to ensure that the hot grate will not slip or tilt while in use. As mentioned above, your firewood should be stored a safe distance from fire features and structures. This may be a bit inconvenient, but it can significantly reduce fire risk, so a short walk is well worth it. If you use your fire pit or outdoor fireplace often, you may want to keep a small amount of wood closer to your patio. To store just the wood you are planning on using that day, purchase a small firewood storage rack that you can place close enough for convenience but still at least three feet away from the fireplace. 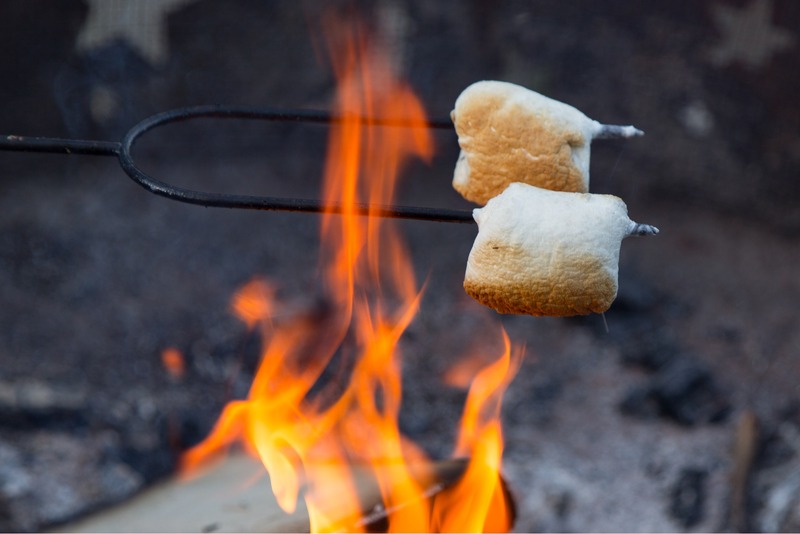 If you plan on roasting hot dogs or marshmallows over the fire in an outdoor fireplace or fire pit, make sure you have proper roasting tools. Metal tools with wood or rubber handles are usually best. Investing in good roasting sticks is a much safer, more effective option than using old wire hangers or other makeshift options. Make sure you get roasting tools with handles for both the comfort and safety of your guests. If you are looking for open-fire roasting options that go beyond hot dogs and marshmallows, how about making fresh popcorn for your next backyard movie night? Your guests (or just you and the kids) are sure to enjoy popping your own popcorn over the fire, and then enjoying it under the stars as you watch a movie on a projection screen. Look for a handled popcorn popper specifically made for use with fire pits and fireplaces. Rotisseries are another great way to expand your outdoor cooking options. These roasting racks are usually easier to find for fire pits and easier to use with this type of fire feature, since the fireboxes on outdoor fireplaces are often a bit small to try to use for cooking purposes. Whether you are planning a cozy evening in front of your outdoor fireplace with your partner or gathering around your fire pit with a group of friends, fire starters make it easier and faster to get your fire going so that you can move on to other activities. Store-bought or homemade fire starters are generally considered safer than using crumpled paper to light your kindling or logs, since even a slight breeze can easily pick up pieces of burning paper and carry them off to nearby structures, trees or piles of leaves. Lighting your fire pit or patio fireplace should be a seamless, quick experience that you can easily fit in between greeting guests and grabbing another bottle of wine from the wine cellar. To help ensure that you are able to light your fire and look like you know what you are doing, you need to have the right tools on hand. The above-mentioned fire starters are part of that, along with either long matches or a gas lighter designed for lighting fires from a short distance away. Should You Dry Your Clothes on a Clothesline?